You cannot beat a great steakhouse. Porter House Bar and Grill is case in point. Even if you are not a carnivore, the sides, salads,fish and adult beverages are top notch. 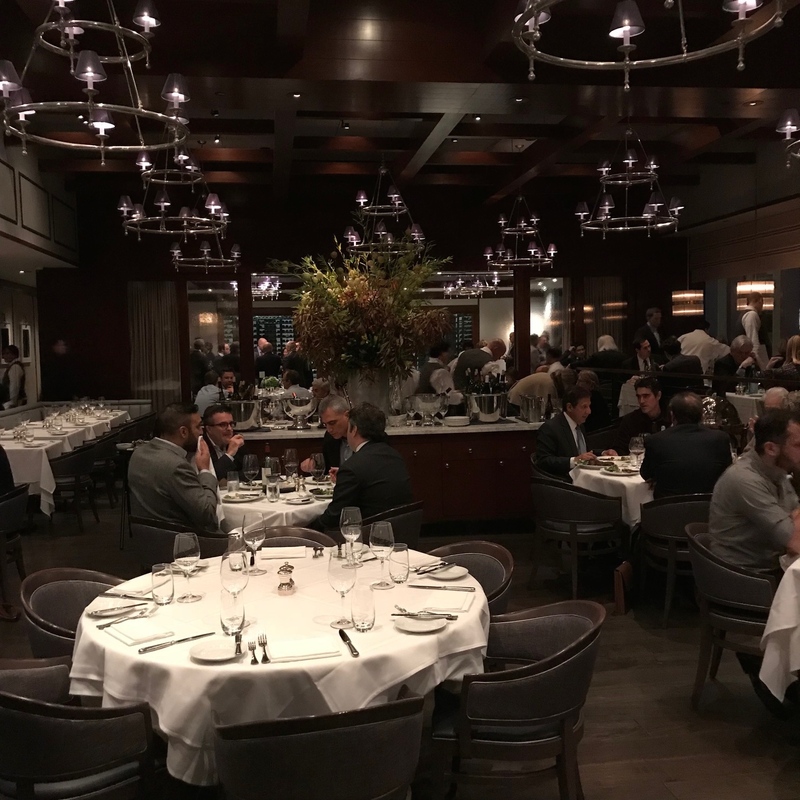 I finally made it to Porter House, a contemporary steak house in the Time Warner Building at Columbus Circle in NYC. It has been on my bucket list since the 2016 rebranding and redecorating. Chef Michael Lomonaco has spent his career at some of the city’s most iconic restaurants including ‘21’, Windows on the World and Guastavino’s, before opening Porter House in 2006. Lomonaco is also one of the original Food Network and Travel Channel chef personalities. Porter House is very attractive, not stuffy and brighter in feel that when it originally opened. It is warm and welcoming. We scored a booth by the large windows overlooking Central Park and Columbus Circle. We got the party started with stellar Chopin martinis accompanied by large, succulent green olives. 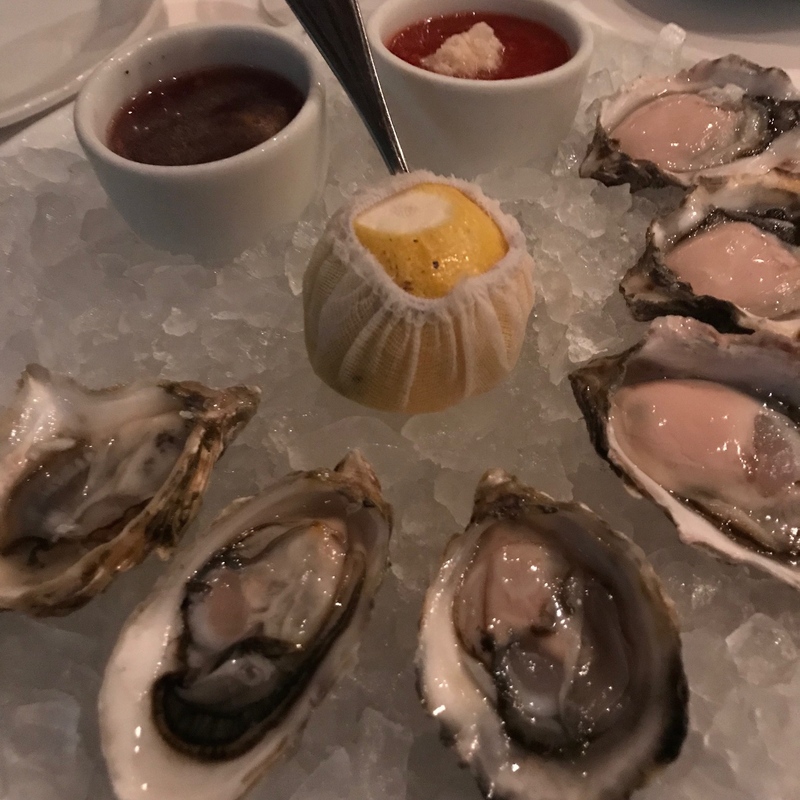 We ordered a half dozen tasty, creamy west coast Oysters…Quilcene and Steamboat. Next up, an outstanding, perfectly chilled Caesar to share ($18). I had not had steak in at least six months so I succumbed and selected the aged NY Strip. The extremely ample portion was tender and delectable ($65). 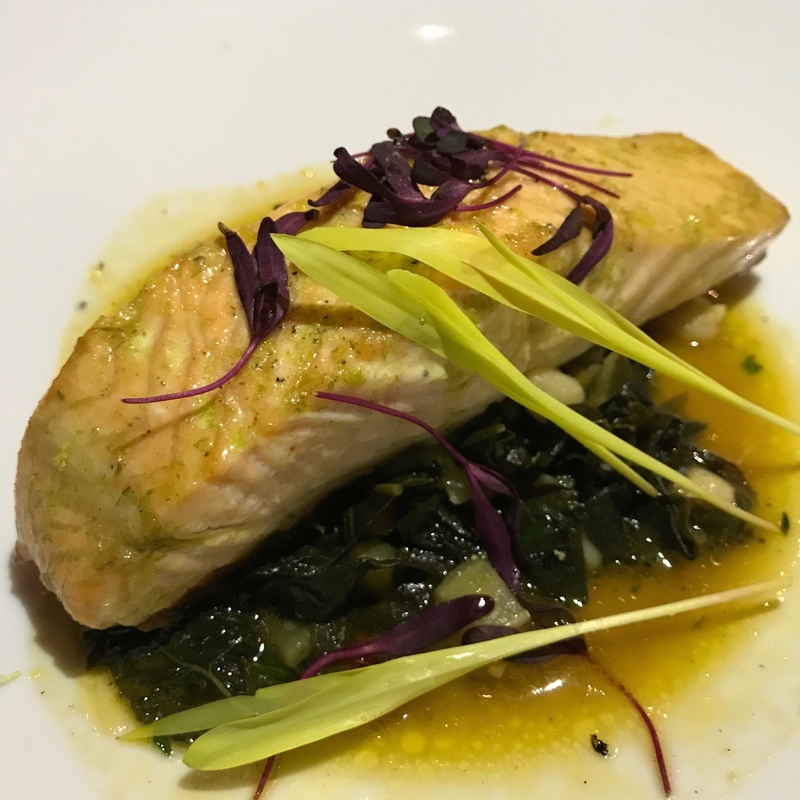 David selected the Faroe Island Salmon with Tuscan Kale, Cannellini Beans and Chive Butter. 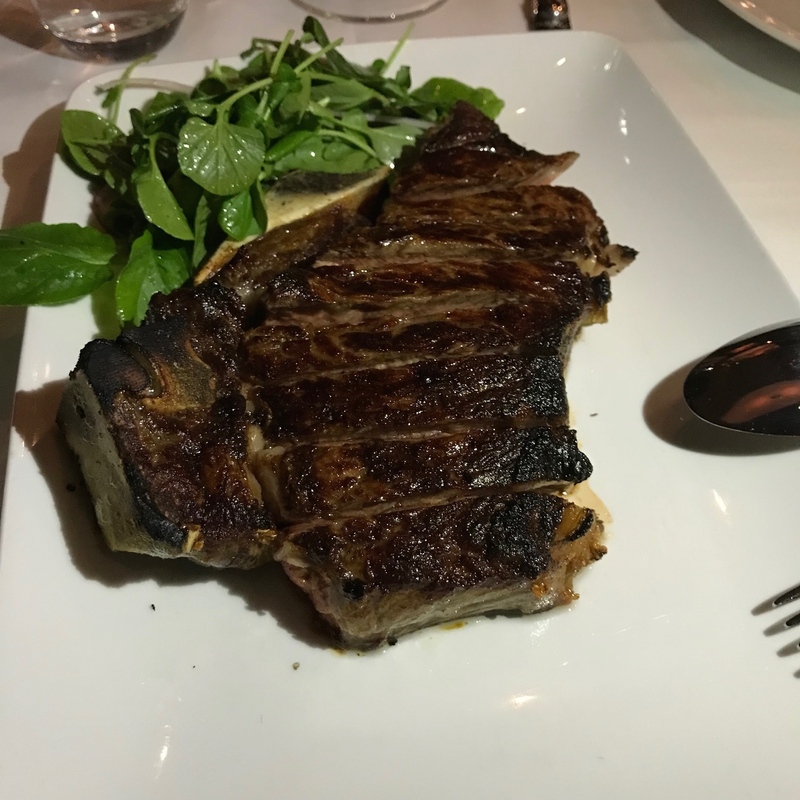 It was delicate, tasty and served medium rare ($42). We closed out the delicious classic steakhouse meal with a Hot Toddy prepared with tea and whisky. 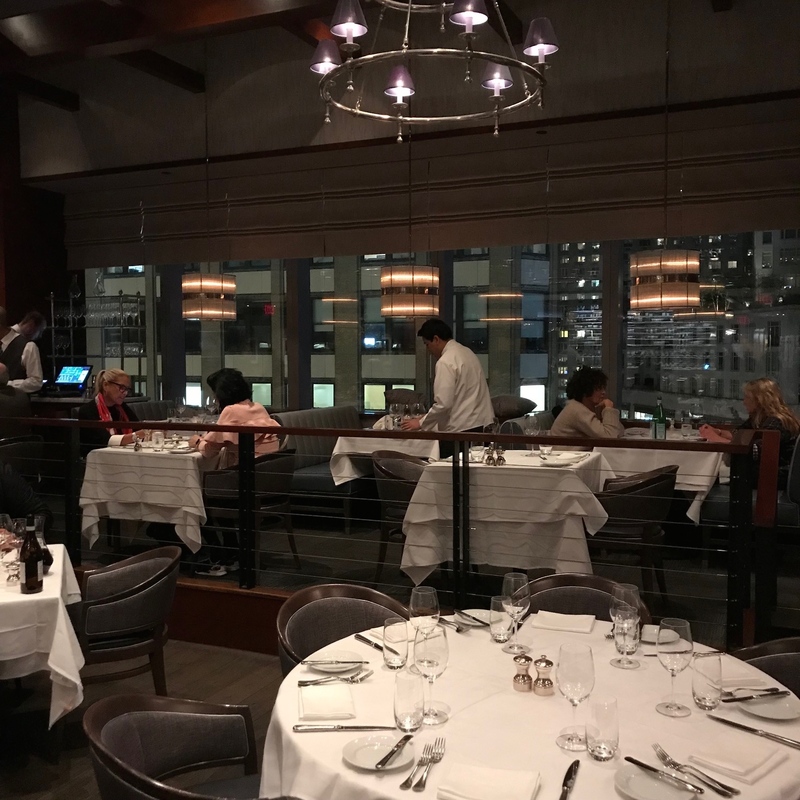 Realistically, the only hesitation with classic, elegant steakhouses is the pricing. As always, you pay for quality. An option is to hit the Porter House bar, enjoy a martini or a glass of wine from their extensive international wine list. 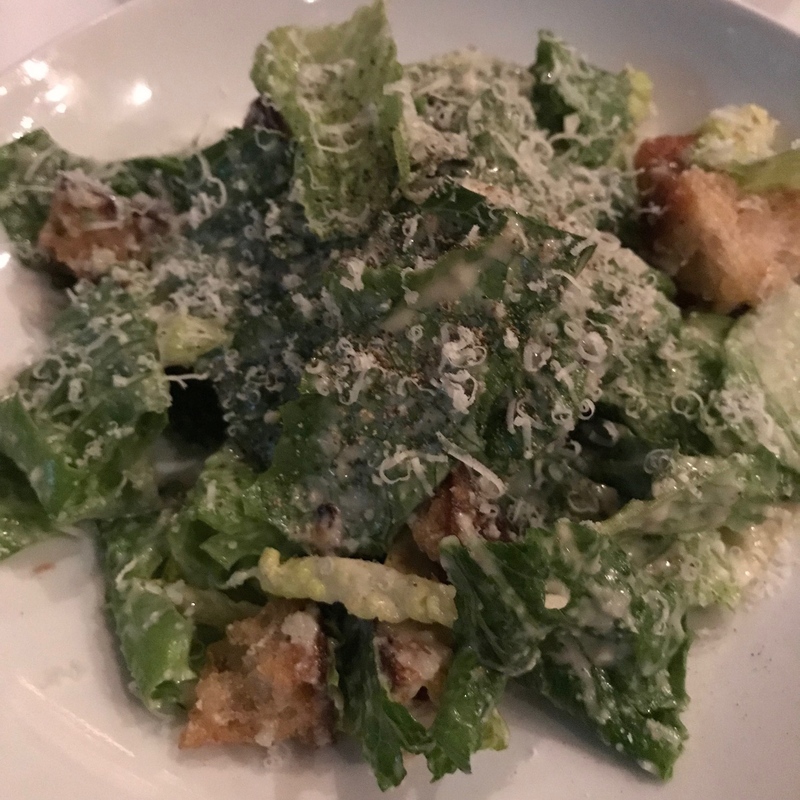 Indulge in a Caesar salad, burger or some oysters. No doubt about it though, Porter House is definitely worth the price. Porter House Bar and Grill Time Warner Building 10 Columbus Circle 4th Floor New York City. Open 11:30am-10pm daily. Reservations on OpenTable.com.